Clothing/Jewelry Description A yellow shirt with a John Deere logo and camouflage-print shorts. Distinguishing Characteristics Caucasian male. Blond/brown hair, blue eyes. 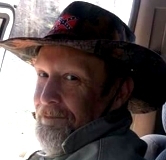 Setliff was last seen working in the front yard of his residence on Ripley Road in Nauvoo, Alabama on August 7, 2015. He left his cellular phone and wallet behind in his home and has never been heard from again, and an extensive search turned up no indication of his whereabouts. Although police don't believe foul play was involved in Setliff's disappearance, his family stated it's uncharacteristic of him to leave without warning. Few details are available in his case. Updated 1 time since October 12, 2004. Last updated July 18, 2017; casefile added.